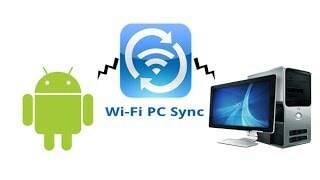 Nowadays, thanks to modern wireless communications technology, it is quite easy to connect Android to a PC via Wi-Fi. Moreover, there are several different options for how to do it. The user can not only access the files, but he also has an opportunity to fully remotely control the gadget. Of course, to make this possible, we need to install special applications on both PC and smartphone (or tablet). But this should not be a problem. You can easily find any program on Google Play. 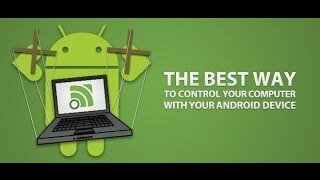 So, let’s analyze how to connect the gadget with Android OS to a PC through the air. After the launch, the application will assign the IP-address to your phone. 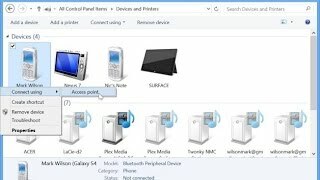 You will need to type this IP in your browser or file explorer on the computer. After that, you will have an access to the smartphone’s files on your computer. There are other programs, such as “AirDroid”. Note that the FTP-server allows you to work exclusively with files contained in the internal memory and the flash card. If you need the access to messages, phone book and other applications on your phone, you can use “MyPhoneExplorer”. This is a handy utility that allows complete access. In this case, you are free to delete contacts, send messages and so on. Now you only have to enter the PIN-code and the name of the connected smartphone. Moreover, the name can be any of your choice. It is entered for your convenience – in the future you will know which device you are working with. 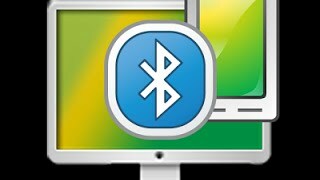 Now you know how to get access to the Android phone from a PC via Wi-Fi. Sometimes it is not over. The Wi-Fi connection is most commonly used to access the Internet on the smartphone. But what if you do not have a wireless router, but the laptop is connected to the Internet via cable? In this case, you can share a Wi-Fi from your laptop. At the same time, all connected devices will have access to the global network. Thus, let us explain how to do it in details. To use Windows built-in tools. Install the utility made by other developer. The first option does not require you to find and install additional software. It implies PC configuring by using the command line. In fact, all you need is to execute two commands. Let’s analyze this process in details. To begin, launch the required service. This is done as follows: press the Start +R key combination. In the window that appears, write CMD and press «Enter». netsh wlan set hostednetwork mode=allow ssid=“My_virtual_WiFi” key=“12345678” keyUsage=persistent – This will install the appropriate driver and create a virtual Wi-Fi adapter. In addition, it will create a virtual wireless network. Here, the SSID is the name of the distribution; the KEY is the password that will be required to connect. Now you need to run the created distribution. To do this, type the following command – netsh wlan start hostednetwork. To stop the distribution, enter netsh wlan stop hostednetwork. So, now you are distributing Wi-Fi, but users still cannot connect to you and do not have access to the Internet. To fix this, you need to configure the sharing. To do this, right-click the network icon in the system tray. Select “Network and Sharing Center”. Open the “Change advanced sharing settings”. It is necessary to enable the detection and sharing at all points, and to disable password protection. Save the settings and return to the control center. Here you can see all the available connections of the computer. Our virtual distribution will be called “Wireless Connection 2”. We need to select the connection which the computer connects to the Internet with. Right-click it and select “Properties”. Go to the tab “Access”. Next, set a checkmark in the “Allow other network users to connect through this computer’s Internet connection” line. Select your virtual network in the line “Home networking connection”. Click “OK”. The setup procedure is completed. Now all connected users will have access to the Internet. Specify the Internet connection that provides access to the Internet. As you can see, everything is easy. The first option is better by the fact that you don’t need to install any utilities. At the same time it works more stably and safely. The second option is more easy to setup and use, but sometimes there may be some problems and failures. But, it happens very rarely. It depends on you which option to choose.